I have been writing this column for over twenty-five years now and in order to better assist readers who are not students of astrology I offer some suggestions as to how to use the monthly summary. Read the summary with your calendar that shows the whole month on one page. Read through the intro and make note of the days that I point out. Mark the new Moon and the full Moon. The days between the new Moon and the full Moon are when you generally want to start something that you want to grow. Do look at that Moon void chart and take a rest on those days. I have discovered that no matter what I plan, it turns out another way on a Moon void day. Anything you try to accomplish will turn out with unexpected results. Make note of the three days before the new Moon. People usually get anxious during these days because the phone does not ring or they feel confused or simply nothing is happen. That is because it is wind down time before the new Moon. You will usually notice that the action of life picks up once the new Moon occurs. Also note the days that planets change directions, especially Mercury retrograde. Hopefully these suggestions will give you a bit of a start to maneuvering through life with astrology. The readings do not expire and you are welcome to give them to friends or family. I do not recommend the special for clients that only schedule in person readings. This is because I charge the difference at the time of the reading and there is really no savings. Buy as many packages as you like. On my previous sale I said I was raising my rate by 10% January 1. I forgot to do that. So sorry, I did not mean to false advertise. Guess I will go up sometime in the year. Someone remind me, please. 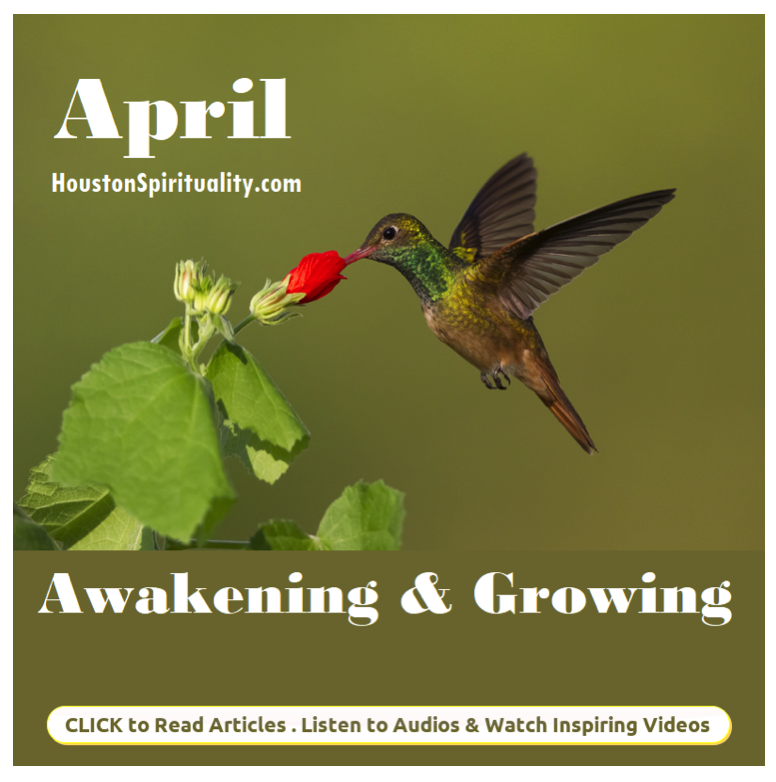 April is a month of striking a balance between ourselves and the other. The new Moon in Aries is April 5 at 3:50 am CDT at 15 degrees Aries. This new Moon affords us the energy to lead the way into new horizons. Remember that Aries wants what they want and they want it now. However, this new Moon is loosely square Saturn and Pluto so our faith in ourselves and our abilities will be tested by authority figures and circumstances. Those old guys in suits or whoever you are up against are not going to yield so easily. We will be tested as to who we are and what we want. The full Moon on the other hand is at twenty-nine degrees Libra April 19 at 6:12 am CDT. Libra is about “we”. The Sun is conjunct Uranus at this full Moon so there is going to have to be some sort of adjustment to our lives around this time. Those adjustments may come as surprises and throw us off balance for a bit. If that occurs, pick yourself up and move on with those new circumstances. Hence, the major theme of this month is what “I” want versus what “we” want and how can we keep a sense of self within collaborative relationships. In some cases we will see that one or more relationships are no longer valid and must change or end. Other relationships will evolve into something more positive. Jupiter, in Sagittarius, turns retrograde April 10 to August 11. This happens every year but not on these exact days. While Jupiter is retrograde our expansion in the outer world turns inward so that we can rethink our current direction. Many of us will reinvent ourselves, our path, or our philosophy. Jupiter retrograde is not a particularly good time to start a business if you want to make money in that business. If you want to do something charitable then start with Jupiter retrograde. Pluto turns retrograde in Capricorn April 24 to October 3. Pluto only moves three degrees in a year. Pluto affects our consciousness and while Pluto is retrograde we are able to heal and transform our thoughts, emotions, and physical bodies. Our ability to laser focus on a situation is increased and many of us will feel more intense while Pluto is retrograde. Do something to undergo a personal transformation during this time. Capricorns born January 8 to January 14 are most affected by Pluto retrograde this year. Speaking of Capricorn, Saturn in Capricorn is retrograde April 29 to September 18. While Saturn is retrograde, let's review stuff we have already committed to do. Reread documents and when you feel tired there will still be more to do before you rest. Saturn requires discipline and structure. While Saturn is retrograde consider your habits. Maybe you need to revisit some good habits and maybe you need to revisit some bad habits just to make sure they still are of no use to you. While I am on the subject of Saturn and Pluto they will be conjunct each other in January of 2020. These two have been in the orb of influence since last month and will remain close into mid June. We are already beginning to feel this tough aspect as change is afoot in all of our lives. The difficulties that these two planets present to us will cause us to push to make changes in the structures of our lives. It will not be easy but the changes we make this year and next will provide a lasting foundation for our future. Situations and institutions in our lives will have to die away so that we can become better. The last time the two were conjunct was 1982. I suggest you reflect on those times and you will get some idea as to what to expect while Saturn and Pluto hang out together. April opens with Mercury now direct crossing Neptune in Pisces. We have been feeling this since March 18. Mercury is our thoughts and communication while Neptune is our ideals, compassion, and even confusion. Most people usually feel confused with this aspect. Stay alert to those who want to fool you. Look for the inspiration, it is there if you ignore the confusion. Mercury in Pisces is sextile Saturn April 7. This productive aspect has us using good judgment. Our memory is sharp and someone who is wiser can be of great help. It seems like the fog will clear. Shortly thereafter on April 10 Venus is conjunct Neptune in Pisces bringing up our deepest compassion and idealism. However, the Sun in Aries is square Saturn adding a lot of realism and structure to any plan or scheme. Mercury sextile Pluto will bring answers to solve most problems. Take measures that make you feel secure now. Mercury in Pisces is square Jupiter in Sagittarius while Venus is sextile Saturn April 12. Mercury and Jupiter want to go overboard but Venus and Saturn suggest if we are going to do that we should wear sensible shoes and use a bit of maturity. At the same time the Sun in Aries is square Pluto in Capricorn. There is sure to be a power struggle between the upstarts and the status quo whether that is in the news or at your breakfast table. April 14 is a lucky day with the Sun in Aries is trine Jupiter in Sagittarius. Aries, Leo, and Sagittarius are especially lucky. Pisces and Capricorn can make wise moves financially. At the same time Venus in Pisces is sextile Pluto and then square Jupiter April 15. One or more relationships will feel deep and intense. Some of us will take an association to a new level. With Venus square Jupiter be sure you do not overdo any activity. Mercury moves through Aries 17 to May 6. While Mercury moves through Aries this sign is very busy handling details and handing out opinions. Many of us, including Aries, will take it for granted that what we say is the gospel according to us. Communications will be direct and enthusiasm will be palpable. This is an easy time for Leo and Sagittarius to have their words accepted. However the rest of the signs will face opposition to their ideas if they push too hard with an opinion. Snap decisions may be the norm but not in our best interest. Don’t forget about the details as those little things can make or break a project when you ignore them now. The Sun moves through Taurus April 20 to May 21. We now move to a slower more grounded pace in life. Taurus and longevity go hand in hand so now is a time to initiate situations and projects that will stand the test of time. Taurus seeks sensuality and comfort. Do what it takes to achieve a sense of well being and security but don’t be stubborn or bullheaded. This is an energetic time for Taurus as well as an easy time for Virgo and Capricorn generally. Leo, Scorpio, and Aquarius will have to deal with game changing situations that must be solved. Right after The Sun enters Taurus he crosses Uranus April 22 and angles Chiron in Aries. Sudden surprises and upsets occur but we all will be able to quickly adjust and recover from the altercations. Just as the Sun is moving into Taurus, Venus moves into and through Aries April 20 until May 15. Love comes around and leaves just as quickly as it arrived. While Venus moves through Aries many of us will suddenly love something or someone. Only time will tell but these feelings and events can just be a flash in the pan. Many of us will be attracted to someone youthful. If you think you are in love check out the almanac below for dates to consummate a relationship. Even then if it is not the right person nothing can make it last. Mars in Gemini is square Neptune in Pisces April 27. This is not a fun aspect between these two planets. Mars is high energy and Neptune is not. Many of us will be low energy and feel misunderstood. Don’t be the gossip or the one who is creating tension with suspicious behavior. This is a good time to be low key. Remember one of the main themes of this month is to balance ourselves with the other. That includes having respect for the other no matter how much the other does or does not deserve said respect.